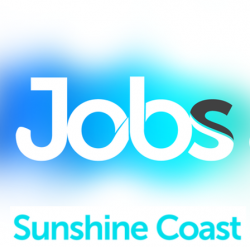 A boutique hotel located in Montville, Sunshine Coast hinterland, is seeking a suitable candidate to fill the role of Full-Time Guest Services Agent within the Front Office. The ideal candidates must have excellent customer service skills, pride themselves on immaculate presentation and thrive in a friendly, motivated team environment. In this hands-on role, you will be responsible for the check in and check out of hotel guests, maintaining guest accounts, taking reservations when required, assisting with all guest enquiries and directing internal and external phone calls. You will also be responsible for ensuring that all guests feel welcome and comfortable whenever they have contact with the Front Office Team. Creating a professional impression as an ambassador for the hotel at all times will be of utmost importance. Possess sound knowledge of Front Office Operations. How many years of experience do you have in a similar role? Job Categories: Accommodation. Job Types: Full-Time. Occupation: Managers.